Though, I suspect that residents in Dimock, Pennsylvania;Pavillion, Wyoming; and Parker County, Texas would disagree. This ethane, which is bountiful in the northeastern Appalachia’s Utica and Marcellus shale gas reserves, is a boon for the plastics industry. 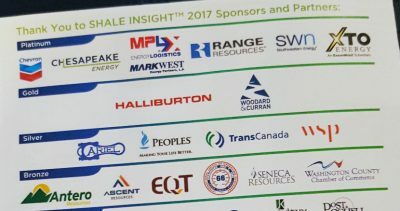 At Shale Insight, Perc Pineda, an economist with the Plastics Industry Association said, “the capacity to produce ethylene – from 2010 to 2020 is expected to grow by more than 60% – according to ACC and that will benefit plastics manufacturing.” However, plastics production is inherently wasteful; the largest sector is packaging, which creates materials that are immediately thrown away.